Two students participating in a roleplay. 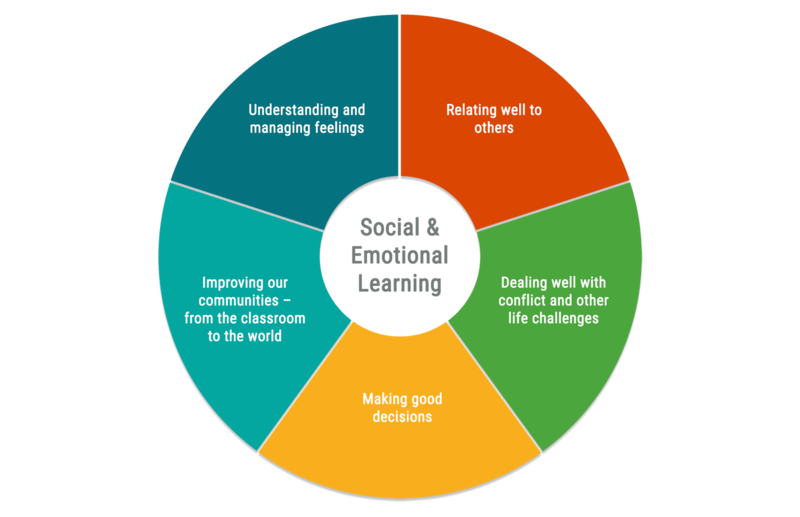 Social and emotional learning (SEL) is the process by which we develop our capacity to understand and manage our feelings, relate well to others, skillfully handle conflict and other life challenges, make good decisions, and take responsibility for improving our communities – from the classroom to the world. 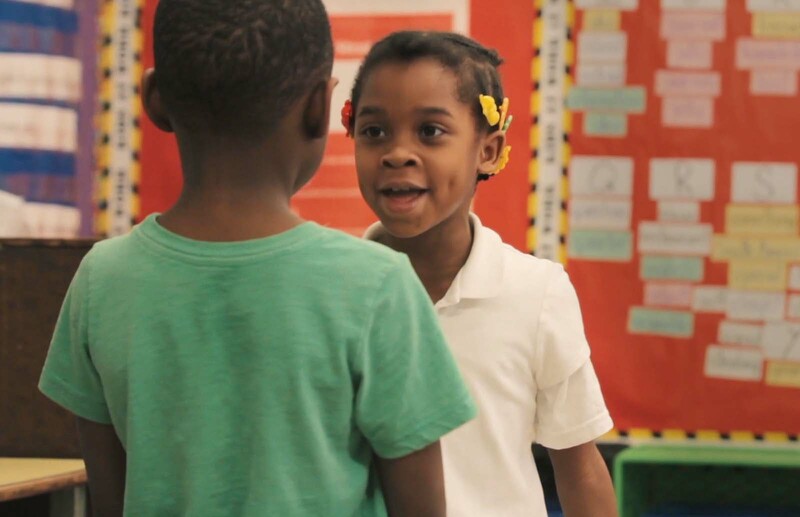 In addition, as a major scientific study of Morningside Center’s 4Rs Program demonstrated, SEL programs can improve the classroom climate and teachers’ effectiveness. In schools where SEL is well-implemented, students not only improve their social and emotional competencies, they become partners with adults in creating vibrant learning communities. And they learn to care about and respect other people, including those who are different or who live far away. Morningside Center understands SEL as a set of attitudes, practices, and policies that are fully integrated into the life and culture of the school, rather than as an add-on “program.” SEL can provide a rich vision of education and a basis for reflecting on everything that goes on in a school. By asking how school policies and practices are affecting students’ social and emotional development, SEL can be a powerful lever for school improvement. By building caring and connections, SEL also lays a solid foundation for social responsibility, not only toward friends and family but toward ever-widening circles of community. Social and emotional learning includes a wide range of capacities that complement and build on each other. Understanding and managing our feelings: We’re aware of our feelings, understand what triggers certain emotions, have strategies for handling negative emotions skillfully, and can express emotions appropriately and constructively. Relating well to others: We can read the emotions of others, empathize, listen actively, and communicate our own feelings and thoughts. We’re able to work respectfully across gender, race, ethnic, religious, economic, ability, and other differences. We are willing to examine our own assumptions and biases. Dealing skillfully with conflict and other life challenges: We can manage our emotions in a conflict, and can listen and communicate effectively. We’re able to understand the underlying needs of those who are in conflict and find solutions that meet the needs of all parties. Making good decisions: We’re aware of the motivations behind our choices and assess the consequences of our choices on ourselves, others, and wider community. Taking responsibility for improving our communities: Harnessing all the skills described above, we take meaningful action, individually and with others, to make the world more just, peaceful, and sustainable.